DO YOU DO YOGA WHILE COOKING? Lately I’ve been thinking a lot about yoga as ‘living the present, being here and now’ and as it was a constant thought it also happened to be there while I was in my kitchen getting lunch ready. Well, I decided to put a bit more attention on that front and prefer as much as I can fresh produce… what about you? PS: on that day I prepared the following pasta – as easy to prepare as delicious – and with all autumnal ingredients!!! Put a pot on the stove with about 3 liters of water and a pinch of salt. While the water gets to boil, wash the broccoli floret. As soon as it boils, put the broccoli florets in the pan and let them cook for 10 minutes. Once cooked, take the broccoli florets out of the pot and use the water to cook the pasta. Usually whole-wheat pasta takes about 12/14minutes, though check the specific cooking time shown on the package you’re using. Once ready, use a colander to drain the pasta and put it again in the pot and on the stove (heat is at the minimum now). Immediately add some extra-virgin olive oil in your preferred quantity and mix. Now add broccoli florets, chestnuts (half squeezed, half not) and basil. Mix again all together, let it settle for about one minute, than turn off the heater. * for vegetarians, parmesan cheese can be added at the end if wished. 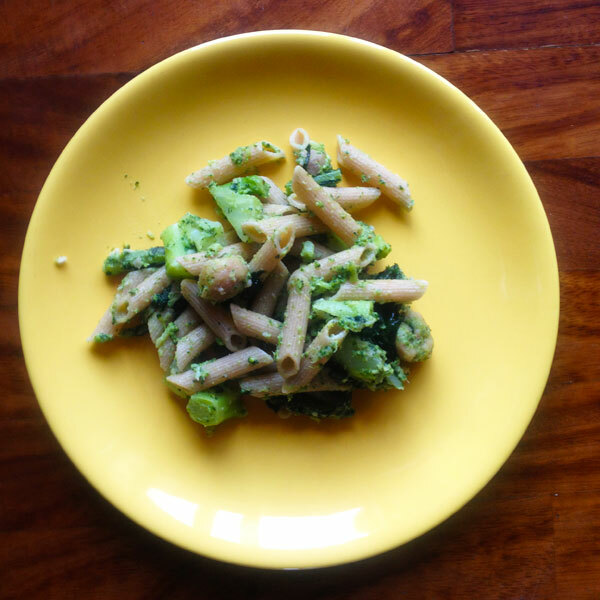 This entry was posted in Ashtanga Yoga and tagged Ashtanga yoga, autumn, broccoli, chestnuts, food, kitchen, natural food, natural recipes, pasta, recipe, seasonal food, whole-wheat pasta, yoga. Bookmark the permalink. 2 Responses to DO YOU DO YOGA WHILE COOKING? I enjoy the idea of eating seasonally, but it’s difficult in a climate that has a short growing season. Any ideas?